When your kids offer to make you breakfast in bed for Mother’s Day, do you inwardly cringe when you think about the huge mess you’ll find once you set foot in the kitchen? If this is even remotely true for you, you may want to drop some hints about this Carrot Cake Oatmeal recipe from Heather of French Press. This simple, healthy breakfast is easy to prepare and leaves less room for mess than other straightforward recipes for little hands. 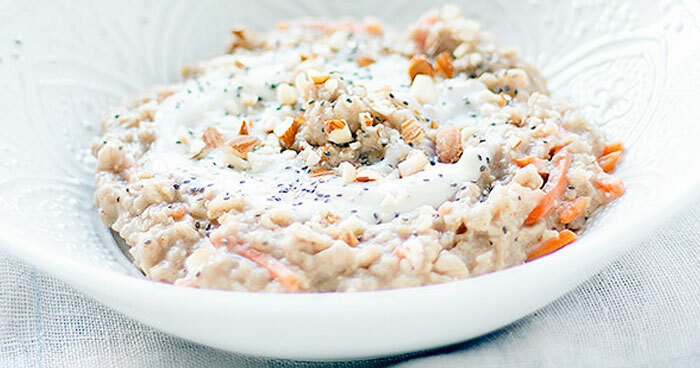 Unlike pancakes or waffles, carrot cake oatmeal doesn’t include flour, which means you won’t find a dusty coating all over the counter or floor. You won’t find the the inevitable batter streaks and drips everywhere, either, because there’s no need to transfer batter repeatedly from a bowl to the griddle or waffle iron. And since you mix everything in the saucepan, you won’t find a sink full of dirty mixing bowls to wash after you’ve finished your breakfast. Print the recipe and leave it out where your family can find it if subtlety works at your house, or just say, “How about trying this new recipe for Mother’s Day, kids? Dad will help you,” as you give him a knowing wink. Happy Mother’s Day! May you enjoy a relaxing, well deserved break. 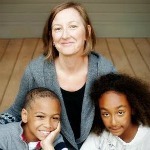 Heather is a wife, mom, food blogger, and photography lover. When she's not out walking dogs or chasing chickens around the yard, you will most likely find her in the kitchen.